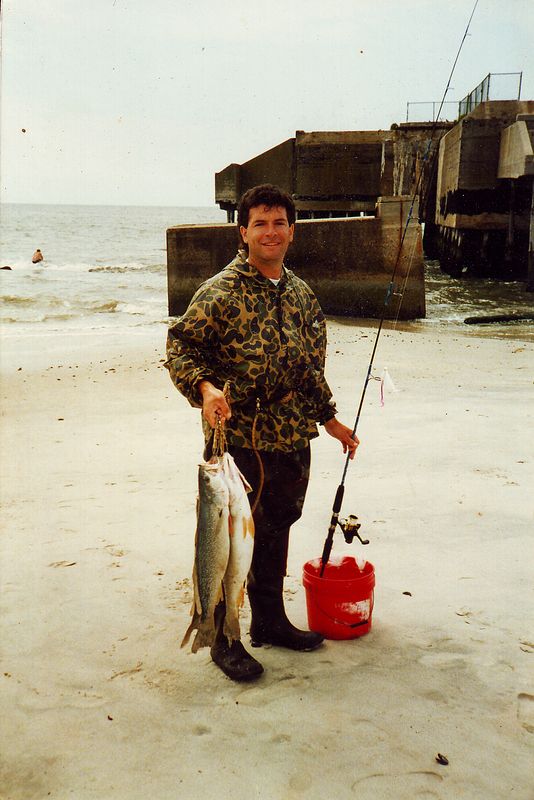 The first couple of weeks in June is traditionally a great time to be fishing for weakfish in Cape May county, NJ. The rock jetties at Cape May point are an excellent spring weakfish spot. Fishing for weakfish from the beach around the gun mount at Cape May point State Park can also produce some nice weakfish. Even though the area around the gun mount has been filled in with sand, by the beach replenishment program, some nice holes still exists. If you put a little time in you can locate the holes that can be fished from the beach. After locating the holes, you will have to figure out when the weakfish are feeding. The weakfish will feed only for a very short period of the tide, maybe an hour at any one location. Remember that could leave up to 23 hours that the weakfish will not be feeding! Here is a couple of tips for fishing Cape May point,NJ, the weakfish usually start feeding at the gun mount at the lower part of the tide and by the high tide the weakfish are located at Higbee beach wildlife management area. The best bet early in the spring or until the water temperature has remand 62 degrees for 3 consecutive days, is to use blood worms for bait, The Cape May way of fishing bloods for weakfish is from a float or bobber with the worm set about 18″ under the float. Wind direction can turn on or shut down the weakfish bite at Cape May point. I have found a very light South wind to be the best for this location. Fishing for weakfish is best when you have a high or low tide at sunrise or sunset.